For a very long time, the Apple MacBook Air has been the gold standard in the mainstream laptop market. The MacBook Air also remained the same for a very long time without any major hardware updates until the 2018 MacBook Air was unveiled. Despite the downsides of it, the MacBook Air still held a considerable edge over its Windows rivals in the same price bracket. 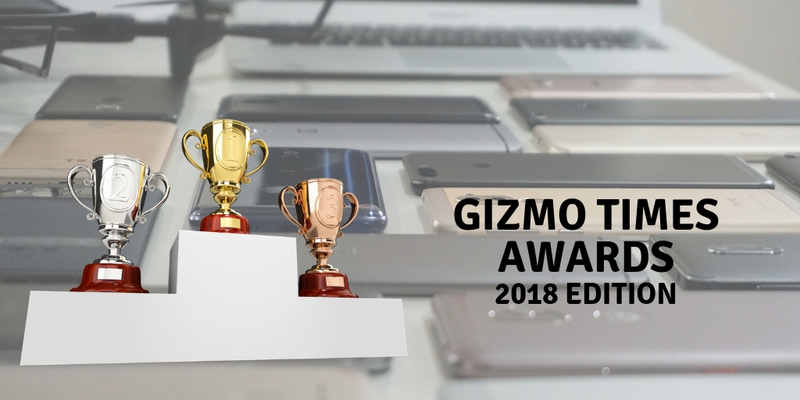 The reason behind this was the completeness of the device, the MacBook Air looks very good, has an excellent build quality and is a very good performer. Adding icing to the cake, the MacBook Air has a fantastic all-day battery life that no Windows machine was able to match. With the entry of the ASUS VivoBook S14, the company aims to finally bring in a worthy competition to the MacBook Air. 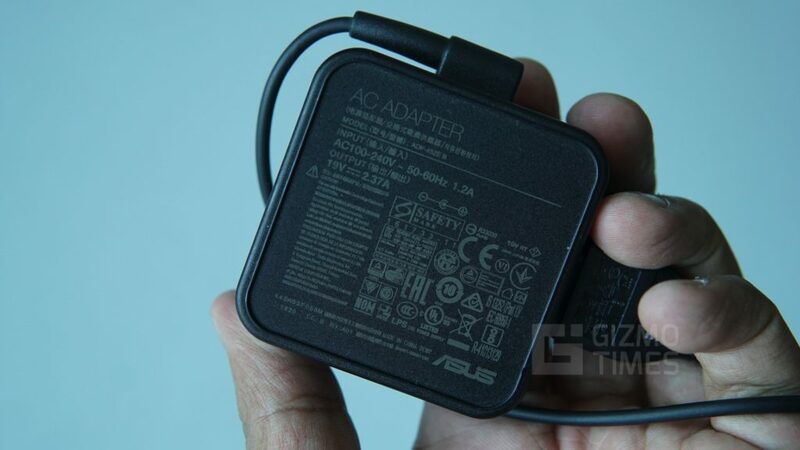 The ASUS VivoBook S14 does offer decent rivalry but also has several downsides, some of which might turn out to be a deal breaker to few people. Despite the downsides, if there is any Windows machine that can challenge the dominance of the MacBook Air, the ASUS VivoBook S14 is the laptop of choice! The ASUS VivoBook S14 looks, feels and works like an Ultrabook. The laptop borrows a lot of the characteristics from the higher end ZenBook series. While the ZenBook S14 costs about half of what the other pricier siblings cost, the laptop doesn’t compromise on the build quality or the overall premium nature. The laptop does look very similar to Apple’s MacBook Air and it doesn’t come as a surprise for ASUS to pit the laptop as a direct competition to the MacBook Air. 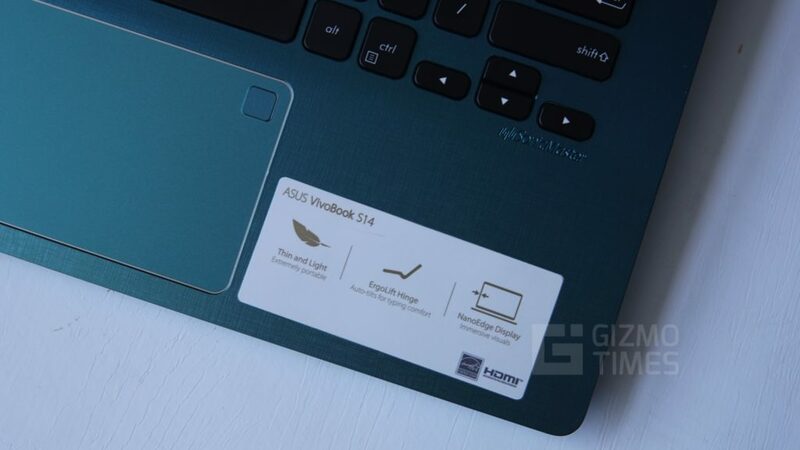 The ASUS VivoBook S14 is not a blatant rip-off and the company has made sure to include several of the unique elements into it, the laptop has its own distinct flavor. 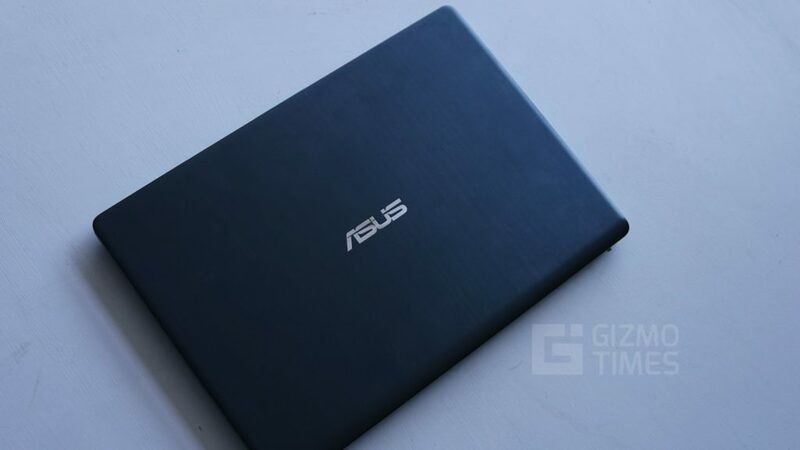 The signature spun metal finish on the laptop is based on a hairline finish, unlike the concentric circular patterns that are otherwise commonly seen on ASUS ZenBook laptops. While the brand does claim the metallic lid to be scratch resistant, we were able to attract few minor scratches in the due course of our average testing. 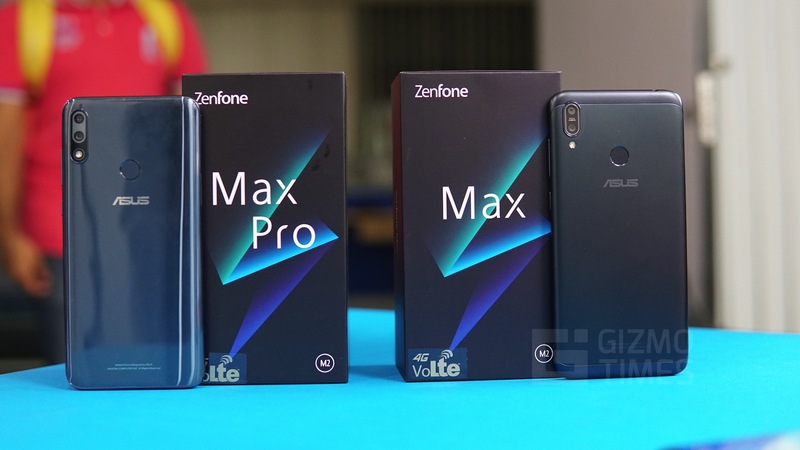 The body is mostly plastic but the device still retains much of the premium nature to it. The lid of the ASUS VivoBook extends a little beyond the base and it helps raise the base when the laptop lid is opened. This helps the base get better airflow and makes the thighs less sweaty. The raise also provides a better ergonomic typing position and having typed the entire review on the laptop itself, we can vouch for the fact that the raise does help to improve typing comfort. 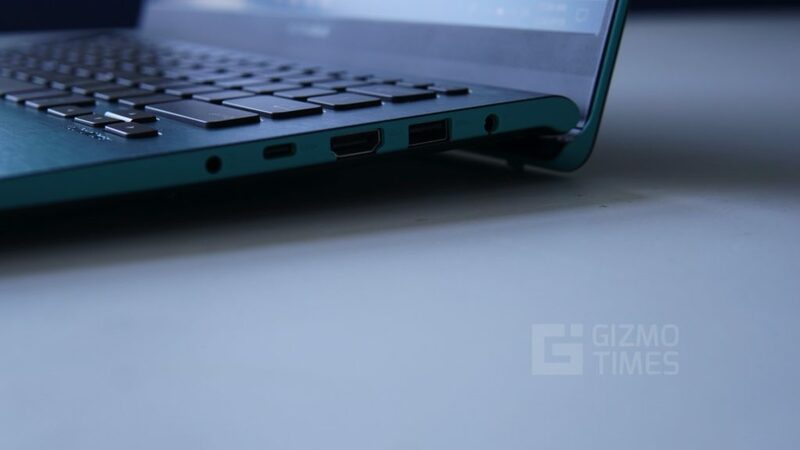 The ports are present on either side of the laptop and the heat exhausts are to the back of the unit, the device has bottom firing speakers on both sides. 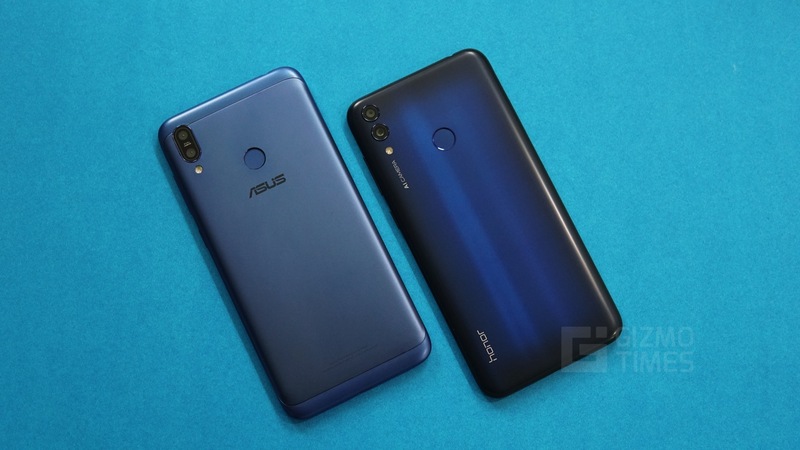 ASUS has kept the bezels very thin and the webcam is in the exact right position, at the top of the display. 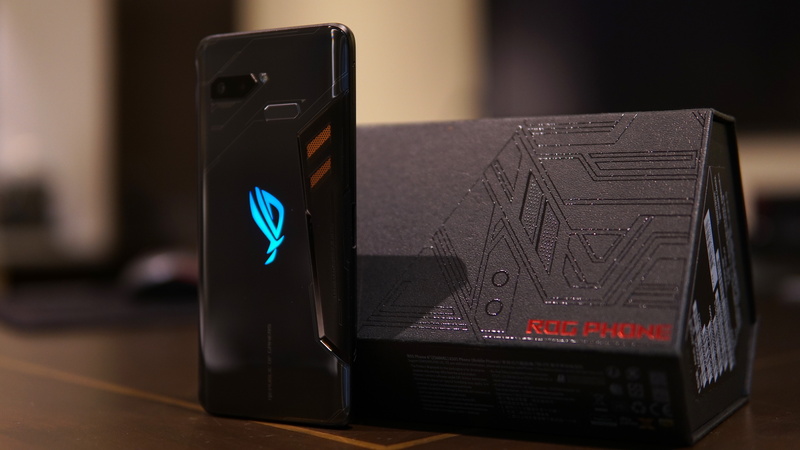 ASUS has provided a well-placed chicklet keyboard and there are multiple levels of the backlight for the keyboard so you can tune it based on the environment that it is being used in. The keys offer about 1.4mm of travel which is more than the MacBook Air and typing on the VivoBook S14 from ASUS is a pleasurable experience. The trackpad is also the right size with a fingerprint scanner placed at one end. 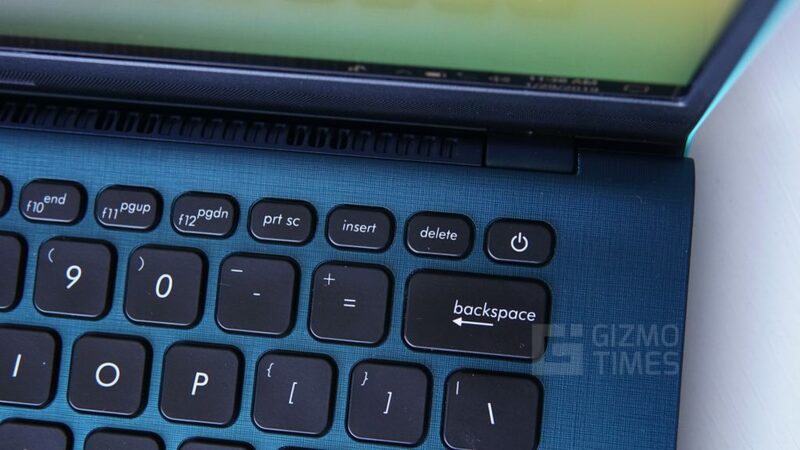 While the previous generation VivoBook S14 was thin and light, it was not perfect, the laptop was prone to some creaking sound especially around the keyboard region. This has improved a lot and the flex on the laptop has been reduced, even the hinge feels very sturdy and stiff while opening and closing. While most users won’t be stress testing their laptops, it is important to have a sturdy design as it is primarily a portable device and will go through some torture at some point. The previous generation keyboard on the VivoBook S14 was just not as refined as the one in the current generation, the typing experience was never as fluid and there was little spacing between the keys making for loss in confidence while typing long essays. The current VivoBook S14 has made positive progress in this aspect and typing is fluid and feels confident with improved key spacing. One of the Unique Selling Point of the VivoBook S14 is the display with several factors favoring it. The display is nearly edge-to-edge and has a FullHD resolution. The color gamut testing on the VivoBook S14 shows a mere 57 coverage of the sRGB range, this is lower than most premium laptops and much lesser than what is found on the newer MacBook’s. Luckily, the colors are accurate and the reproduction is to the mark. The display is fine for work and a little bit of movie watching, the brightness levels are a little low and the display does seem a little dull when using it outside. 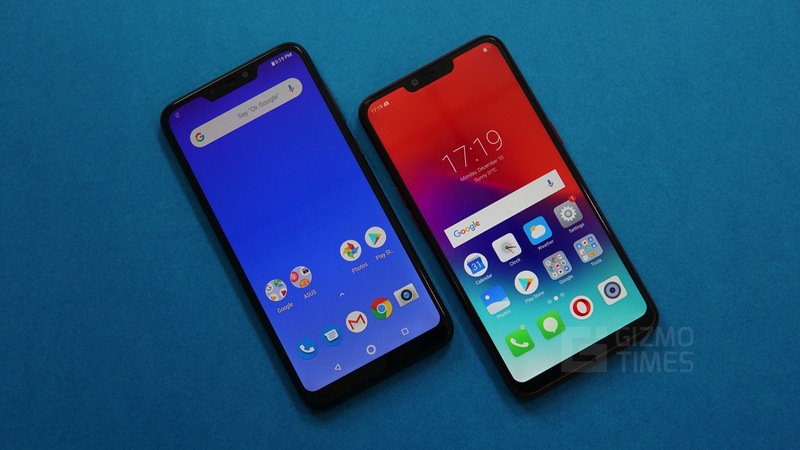 For the most part, the relatively thinner bezels made us happy. 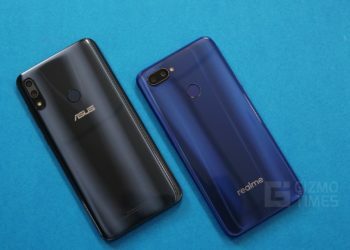 The display performance is fine, and as long as one is not thinking of making critical color adjustments on the display, it shouldn’t be much of an issue. Coming to the performance of the VivoBook S14, the device doesn’t make any obvious compromises with the core hardware. The device is designed as budget oriented Ultrabook and comes with the latest 8th generation Intel CPU. The laptop is perfect for daily usage and the SSD in the VivoBook S14 ensures a buttery smooth performance for all the daily tasks. The laptop doesn’t come with a dedicated graphics card and can barely manage any 3D gaming. We tried running FORTNITE on the VivoBook S14 and the game returns a measly framerate of about 20fps even at the lowest settings configured. The internals in the laptop can only properly handle basic 2D games and even for moderate gaming, the laptop is best avoided. Even with a heavy load on the laptop, the device catches up pretty well and doesn’t get awfully hot. The thermal management is good and we tried putting the CPU to the test with some very heavy load, the VivoBook handled it well and didn’t get very hot. 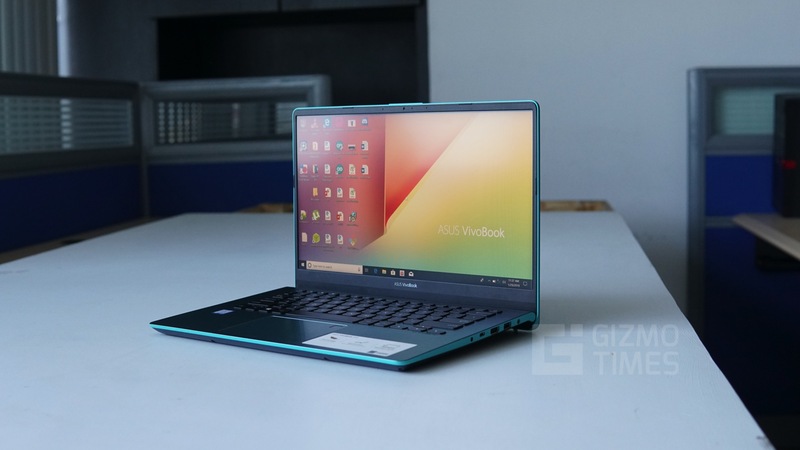 The VivoBook S14 is mainly oriented towards the business audience and serves the purpose well for them, the unit we got to test had the 8th generation i5 processor and came with 8GB of RAM. This is a perfect combination and runs Windows and all other commonly used applications smoothly without any issues. The SSD performed pretty well and helped with the boot times and the time taken to open most installed applications. The only aspect of the laptop that was dismal is probably the speakers that come with it, the volume is extremely low and lacks any depth. The volume is so low that it becomes inaudible even with a regular fan running in the ambient surroundings. While playing audio we quickly found ourselves reaching for a pair of headphones each time while using the VivoBook S14. The VivoBook S14 performed extremely well with the battery in our experience. With the brightness set to medium and using the laptop throughout the day, I found myself leaving the charger at home when I went to college. My regular day consists of over 3 hours’ journey in the bus with slightly higher brightness levels and about 3-4 hours of browsing and writing in Microsoft Word when in college, the laptop could easily get me through this with still a little battery left in the reserve. I was fairly impressed with the battery life on the ASUS VivoBook S14, while the battery on this laptop doesn’t match up with the most important competitor, the MacBook Air, the laptop does pretty well by itself. The ASUS VivoBook S14 isn’t a very exciting laptop by itself but it is very carefully configured to suit the audience that it is targeting. 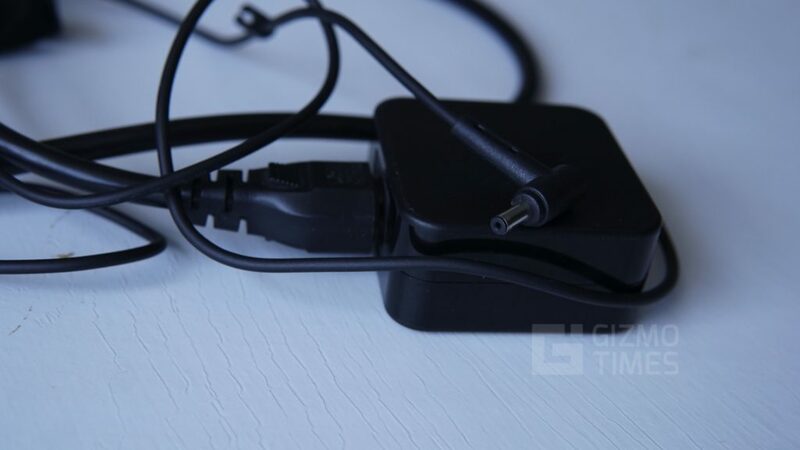 The device is powerful enough for most people, the battery life is pretty good and can get most people through the day of regular use without having to reach for the power adapter. The speakers are terrible and the laptop becomes unusable for the multimedia purpose for this one reason. The laptop is completely worth a shot if you are looking for an entry-level Ultrabook in the Rs 60,000 segment. The S14 also offers a pretty good user experience and I tend to like the keyboard on the ASUS VivoBook more. 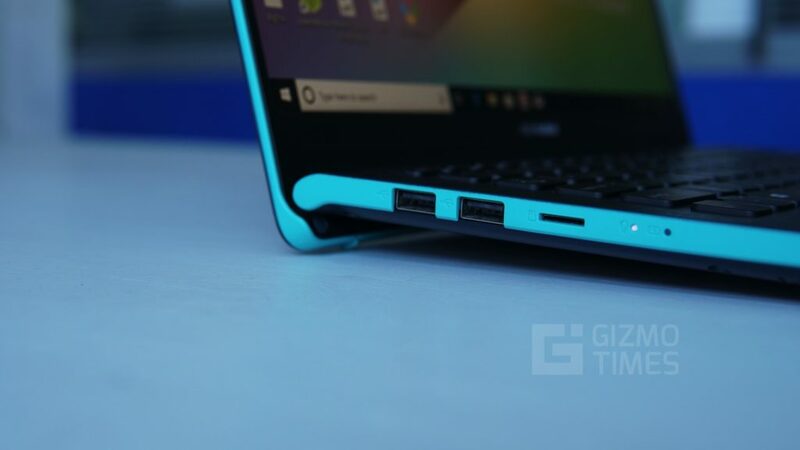 This laptop is a great choice for students who don’t play a lot of games and for businessmen who prioritize portability and battery performance over other factors.